Dr. Robert Melendez is a gifted plastic surgeon that can transform lives with the power of a scalpel. Known as the miracle worker, he starts working with criminals, providing them new faces. But he soon allows ego and greed to overshadow his talent by blackmailing these same criminals, threatening to reveal their true identities if he isn’t paid additional money for his services. Robert’s plan flourishes until he ends up dead, found beside the corpse of a woman believed to be his wife, Melissa "Missy" Melendez. Upon further investigation, however, it is revealed that the wrong woman has been executed. Once the mistake is discovered, the murderer sets his sights on Missy, determined to finish the job. Thanks to her psychic abilities, Missy feels her hunter's rage and realizes that she was the intended victim. Paralyzed by fear, she’s unsure who to trust since the killer could be any of Robert’s former patients hiding behind their new human mask. Now, Missy must fight to stay alive as she grapples with the "gift" that connects her to Robert’s murderer. She has to prove her innocence in a double homicide, all while fighting her feelings for the detective who could possibly destroy her. 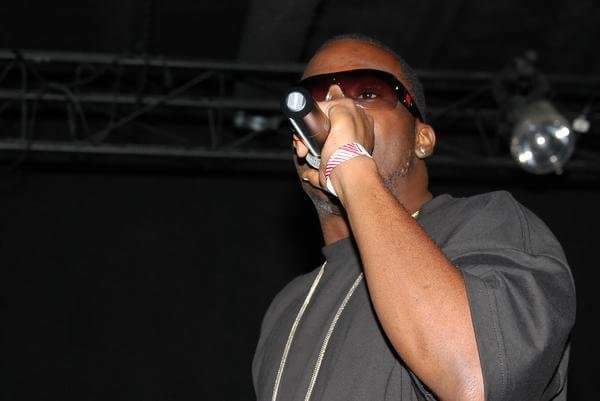 Hip hop recording artist Manolo was born Micah Lamont Smith in Forsyth County, North Carolina. Manolo began writing songs at the age of 14. In 1995 Manolo joined the rap group named Code Cipher, and they released local mix tapes while gaining notoriety. Nuology Records. The Kook Up Gang released an album entitled Straight Drop in 2001. The album received attention from Bungalow/ Universal Music Group. A single entitled Roc Star was selected from the album, and was distributed by Universal Music Group. The group opened for artists such as: Flow Rida, Shorty Low, The Lol, and Three 6 Mafia. In 2012 Manolo became an independent artist and signed with Coldhouse Records. He wrote the jingle for a vodka commercial and appeared in it as an actor. While signed with Coldhouse Records Manolo completed an album entitled Sad But True, which was never released. In 2015 Manolo signed with Rayz-Up Management. Manolo is inspired by artist, such as Biz Markie, Bad, Mine Deep, and Ice Cube. Born January 18, 1984 in Herman Hospital and raised in 5th Ward Houston,Texas was William Christopher Bowie the son of William Leroy and Barbara Jean Bowie. He is the middle child of his 2 sisters he was raised with. William (Scoob Due) was very shy when it came to performing music in front of others but he still would try he knew he wanted to entertain people at the age of 10 inspired by Michael Jackson. My first time actually recording on the Mic was at my family reunion lol says the artist. William was raised in a home in 5th Ward by both parents. He graduated in 2002 from Kashmere High with plans of going to the Army but had got in some trouble and probation held him back. William end up working multiple jobs and streets hustling. He would freestyle with his boys and they would love so much to where he started to record himself on the phone voice recorder. William eventually formed a group named Grown Man Status in 2008 and they would do open mics and win the shows. We all was dumb for as the music business says William so they caused them to struggle. Well William continued to record however he could, now he trying to pursue he rap artist dreams stepping out on his own and investing in self.